I made homemade butter this morning. I’d like to say that I tapped into some incredibly trendy, inner streak of domesticity for inspiration, but… I’d be lying. I was at home sick and completely bored out of my mind. All My Children was still hours away. Cooking anything would be a complete waste of food because I couldn’t taste a thing. Then I spotted some leftover heavy cream hiding behind the apple juice so I made butter. I made butter because I didn’t have anything else to do. Have you ever made butter? Thanks to modern technology, it’s almost an effortless process. I remember doing it twice before: once in kindergarten and once at my grandma’s house using a neat little butter churner. In kindergarten, we passed around a small jar of cream and shook it. Just when you thought you arm was going to fall off, you passed the jar to the classmate sitting next to you. At some point, the teacher pulled the lid off of the jar and we oohed and aahed. Butter. 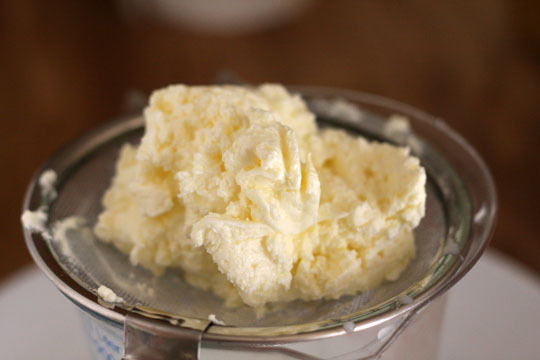 How to make your own butter in 10 minutes. 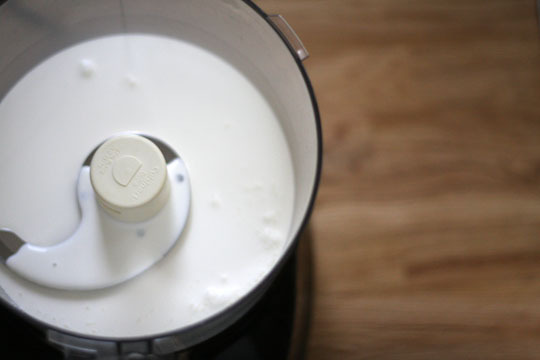 Pour cold, organic heavy cream into a food processor. Turn the food processor on. After about 30 seconds, stop the food processor. 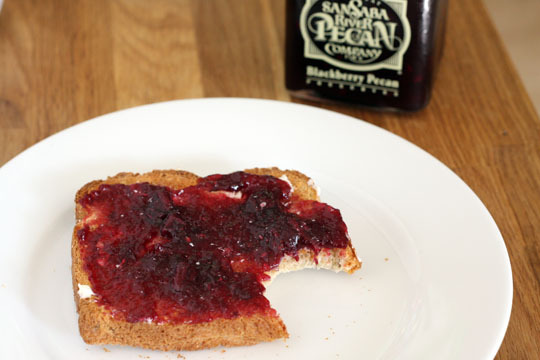 You could stop here - you'll have a nicely thickened whipped cream for a decadent, dessert-like french toast, bowl of berries, or an ice cream sundae. But you won't have butter yet. Scrape down the sides and turn the food processor back on. 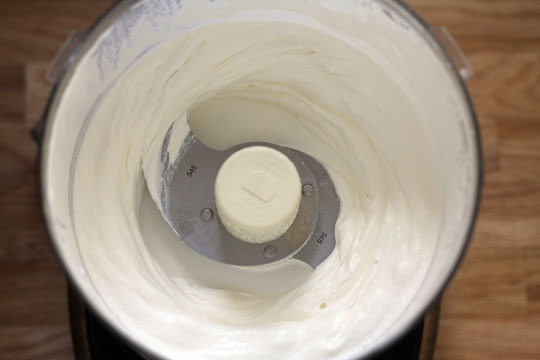 After another two minutes, you'll start to notice your cream is developing a slightly grainy texture and is starting to look a little yellow-ish. You could stop here - I have no idea what you'd do with the no-longer-whipped-cream but not-yet-butter so do keep going. Scrape down the sides and turn the food processor on again. After another 3-4 minutes, you'll hear a distinct change in sound from your kitchen countertop. THIS is when you have butter! The mixture will have separated into a soft yellow butter and buttermilk. You're almost done! Now for the real work. Pour the butter through a fine mesh sieve and lightly fold the butter on itself to press out any liquid trapped in the butter. Pour off the excess liquid. 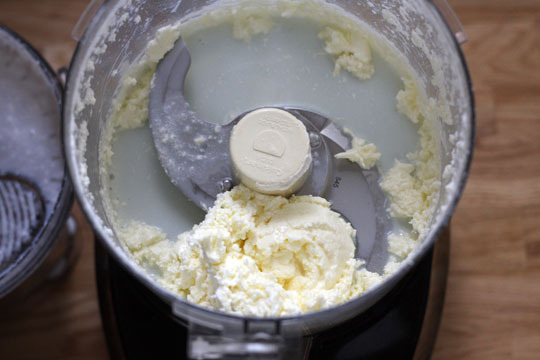 Return the butter to the food processor for rinsing: Add 1/4 cup of ice cold water to the butter and process for 10 seconds. Pour off the water and repeat twice more to rinse any lingering whey. Pour the butter through a fine mesh sieve and lightly fold the butter on itself to remove any remaining liquid trapped in the butter. Transfer the butter to a bowl and cover tightly or stir in any combination of herbs and seasonings that you'd like. The butter will keep a couple of weeks in the fridge a week and much longer in the freezer. And how did you use the buttermilk? I would hope you didn’t waste fresh buttermilk. Just how cool is that! I bought a “butter stamp” to form butter into 20g servings yesterday. 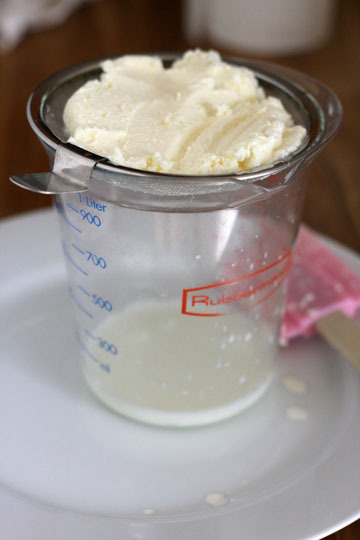 I remember making butter when I was a child: It took about an hour with a butter tub – which I turned by hand. To get the buttermilk out I kneaded it under running water. After that I put the butter into a mould. That was quite fun. Thanks for giving me this back flash into childhood. Great post. Reminds me of my childhood as well, when my auntie used to make her own butter. We made butter in elementary school the same way. I remember it tasting incredible! I love it! I am so impressed with you. My best friend told me last night that I was better than her at being a wife. I told her that I just had a head start on her by 3 months and that she would catch up. You have 21 months on me so I’m hoping that I can catch up to you by then…probably not, but we’ll see. i’ve been reading animal vegetable miracle since yesterday and was just thinking about making some butter myself! you make it sound so easy 🙂 i need to try it soon! Ok..so I never realized butter was that easy (well it’s not, but food processor is my main gadget right). I always envisioned chicks milking cows, and then using some huge wooden tub thingie, while sweating away to make the elusive-yet yummy butter. This is totally cool and enlightening, can’t wait to try it-thanks! Wow, that’s really neat. Thanks for sharing this simple technique! Thanks, I have to try this. It looks super-easy. I am so proud of myself that I just made this butter tonight. 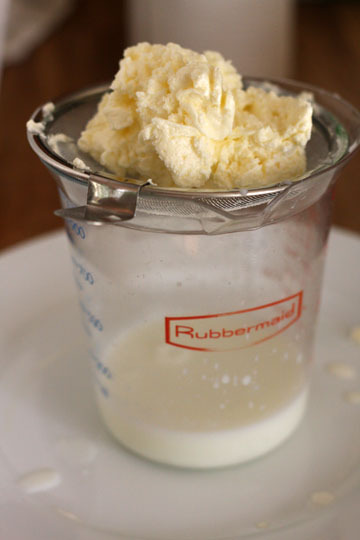 I love your blog and can’t wait to try making muffins with all my fresh buttermilk! 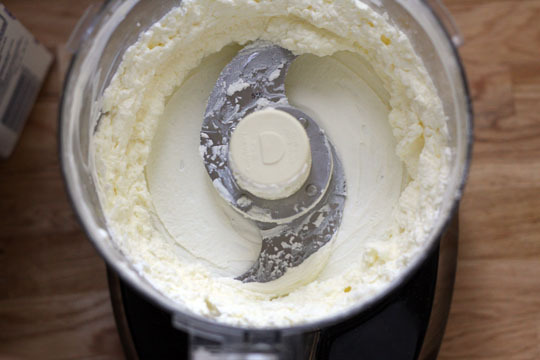 I read this and a couple other recipes before I made the butter with raw cream … unbelievably good! The whipped cream stage was amazing as well!